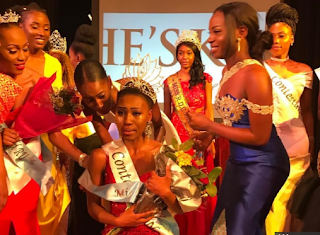 Photos: Meet The HIV Positive Beauty Queen Crowned Miss Congo UK 2017. HomeEntertainmentPhotos: Meet The HIV Positive Beauty Queen Crowned Miss Congo UK 2017. “I’m happy I’ve won at least something in my life. My story has warmed people’s hearts and that’s the most important thing,” she says. Horcelie, who is originally from the Democratic Republic of Congo, is studying for a fine arts degree in London.